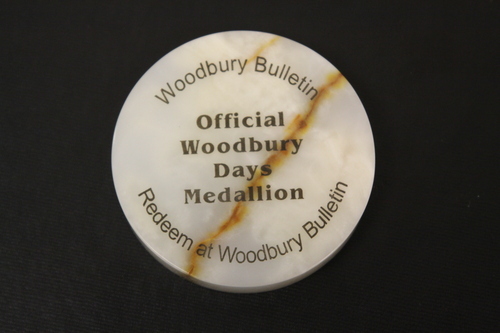 This absolutely gorgeous summer day is distracting me, and my mind wanders, trying to figure out how I can squeeze in a little park hike to search for the Woodbury Days medallion. Most summers, at least one of our kids and I have spent a little time pondering the clues, poring over area maps, and wandering around area parks. Though we’ve never found the medallion, we’ve searched in (almost) the right places. Fond memories were made as we enjoyed fun time together, trying to get the most out of the last weeks of summer. This year, however, we haven’t yet made it past reading the clues. Older teens, perhaps. It’s not just the weather that makes me want to hit the trail. I also just want to say that I’ve tried, and successful or not, the search is usually the best prize to come out of the adventure. The same is true of whatever I look for in my walk with God. I can spend a fair amount of time thinking about my search . . . wishing for more focused time in God’s word, thinking about where best to serve God’s world, watching for more direct signs from my heavenly father. It’s when I grab the map and go that the search gets interesting. Whether I find what I set out to discover, or not, I’m glad for the time spent on the trail, with other seekers. And I usually find treasure–rarely what I was expecting. In much the same way that time with my kids was the real prize in past medallion hunts, the rewards for my faith wanderings are not necessarily what I was hoping to find, but thankfully, the ones God knows I need. What clues are calling to you? What medallion are you seeking? This entry was posted in Uncategorized on August 22, 2011 by Pastor John Keller.